Amazon launched its music streaming service – Amazon Music Unlimited last month in the United States, later in the United Kindom, Germany, and Austria. Until now, users have several music streaming services to choose from, Spotify, Apple Music, Deezer, Tidal etc. 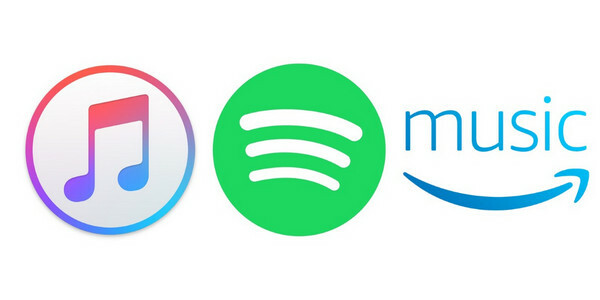 This article will make a simple comparison among Amazon Music Unlimited, Spotify, and Apple Music to help you make a better choice on music streaming services. 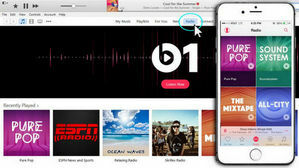 Here paragraphs will list the different features among music streaming services, Amazon Music Unlimited, Spotify and Apple Music. You can read and find the best one for you. Note: If you have an Echo, you can choose Amazon Music Unlimited streamed to one Echo or Echo Dot speaker, thus you only pay $3.99 a month. But it is limited to one device, because an Echo gizmo can be linked to a Bluetooth speaker, you aren’t restricted to the Echo Dot’s limited audio capabilities. One of the biggest differences among the 3 streaming services we're comparing also their design and interface. As a whole, they look enjoyable. Amazon Music Unlimited: It looks very beautiful. It is laid out different from other services and it is featuring a design skin to the style of the Amazon Prime Video service. 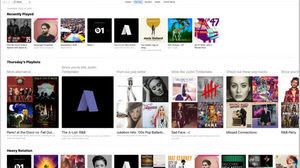 But some users said that is particularly simple to navigate as there are not many ways to browse and discover music. Spotify: The main colors in the interface, including singers interface are black and green, so it looks very simple and comfortable. 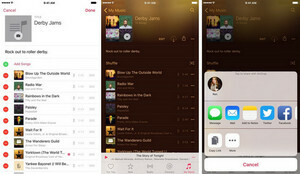 Apple Music: Very colorful, but not mussy, and it is also very simple to use. And one thing must be mentioned that the redesign of Apple Music made it easier to use. As music lovers, we always look for something new or recommended to listen to. 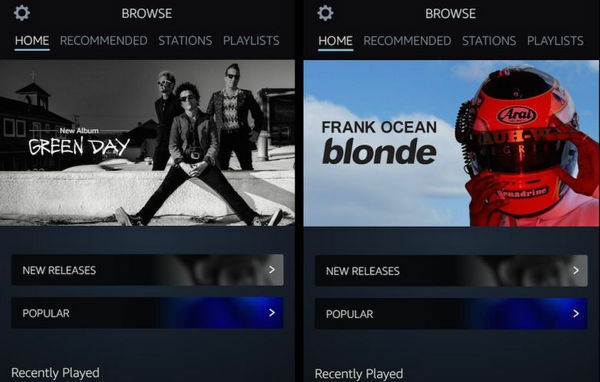 Amazon Music Unlimited, Spotify, and Apple Music also provide recommendation function to help users discover new music. Rather than having a big focus on helping subscribers stay on the cutting-edge of music, the service features recommended playlists and radio stations that are grouped around artists you've already listened to. 1. Amazon Alexa: The most significant factor which makes Amazon Music Unlimited different is Amazon Alexa. Amazon said the service will be able to find a song from some lyrics rather than the name. “For example, if you say Alexa, play the song that goes, ʻI was doing just fine before I met you', Alexa will play ʻCloser' by The Chainsmokers.” That is really cool, is it right? 2. Echo: You can use an Echo, Echo Dot, or Amazon Tap to search for songs by lyrics, fire up playlists, and search for songs to match your mood. 3. Music Library: It is designed to help you discover or purchase music. In almost every part of the layout, you'll find recommended albums and playlists that are based on your listening habits. 1. 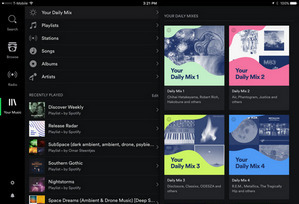 Radio: Spotify's radio creates stations based on atracks or artist that you designate like Pandora. Users can either thumbs up tracks they like, or thumbs down tracks they don't like. Spotify will tailor the radio station based on these preferences to recommend you more tracks you will like. 2. Discover Weekly: Every time you listen to a track, search a new artist, skip a song, repeat a track, or do anything else while using the service, Spotify will record the information to your taste profile. This is the way that Spotify quantifies what kind of music you like. 3. 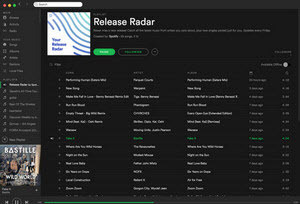 Release Radar: Spotify launched Release Radar in August this year to discover new music easily. Updated every Friday, Release Radar gives you up to two hours of the newest drops from the artists you follow and listen to the most, sprinkled in with some new discoveries based on your recent listening habits. 4. Daily Mix: With Daily Mix which is launched on Sep. 27 th, you can tune into a mix of the music you know and love, made fresh in continuously updated playlists. You can choose your mix and enjoy your most loved familiar tracks with new music peppered in. You’re bound to rediscover some forgotten hits or find a bunch of new favorites. If you want to download music on Spotify as MP3, WAV, AAC or FLAC formats to enjoy these lossless audios at any moment and any place. Or burn Spotify music to CD, transfer Spotify tracks or playlists to , or iPod, MP3 player to enjoy them on any time and any where. You can try Spotify Music Converter (For Windows | For Mac). 1. Beats 1: It broadcasts over 100 countries from its studios, so no matter where you are or when you tune in, you can hear the same great programming as every other listener, like exclusive interviews, guest hosts, and the best of what’s going on in the world of music. 2. 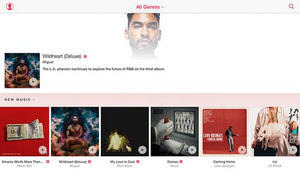 For You: “The more you explore, the better Apple Music gets.” Apple Music has released an album For You which is used to recommend some tracks to you according to your listening habits. Apple Music will keep track of what you’re searching, what music you’re “loving”, and what music you choose to add to your library. 3. “New” Tab: If you want to listen to the newly released tracks or albums on Apple Music, “New” tab is the best place you should go. You can sort by genres and Apple will show you the top songs and albums along with what’s hot in that week. 4. Connect: It is a social club where musicians can post their works or videos. In this way, users can know more about the music you like. And uses also can comment the posts or share them to Facebook, Twitter etc. Due to DRM protection inserted in Apple Music, there are limitations to enjoy Apple Music freely, for example, the songs we downloaded are not accessible after canceling subscription. We also can not play Apple Music Songs on MP3 player or other portable devices. NoteBurner iTunes DRM Audio Converter could help you get rid of the restriction and convert Apple Music songs as MP3, WAV, AAC, or FLAC formats in 3 steps, thus you can burn Apple Music songs to CD, transfer them to USB drive, iPod, Walkman, MP3 player, PS4 etc. 1. In one word, Amazon’s new on-demand music-streaming service is competitive and broadly comparable with the main players in the space. 2. For those who own one of Amazon’s Echo contraptions, Amazon Music Unlimited really could prove a bargain at $4 per month. However, it’s limited to listening on a single device. Those who already subscribed to Amazon Prime may find the extra $8 / month for music streaming too good to turn down, though, in reality, paying an extra $2 per month isn’t exactly off-putting for the added benefits available on Spotify, Apple Music. 3. But lacking of Chromecast or Apple TV support will block someone to use it. Most importantly, the biggest obstacle to signing up to Amazon Music Unlimited is its market restrictions. It’s limited to the U.S, the UK, Germany and Austria. Maybe it will be available in more countries.